Don’t wait until Black Friday! Our gift certificate deals start 11/21 and last until December 31st! 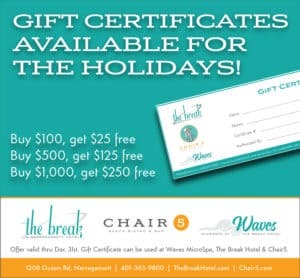 The best news is, your family and friends will love that they can use our certificates for a getaway to The Break Hotel, enjoying a relaxing dinner at Chair5 or drinks on our rooftop, OR a refreshing massage or service at Waves MicroSpa! 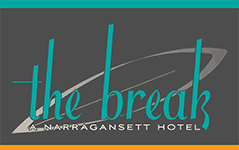 Call 401-363-9800 to purchase your gift certificates for the holidays now!